The KÜHL Aspira™ SS Shirt features quick dry, moisture wicking, slub fabric for technical performance and luxurious comfort. UPF 30 provides sun protection. The Aspira SS is available in a subtle strip print. 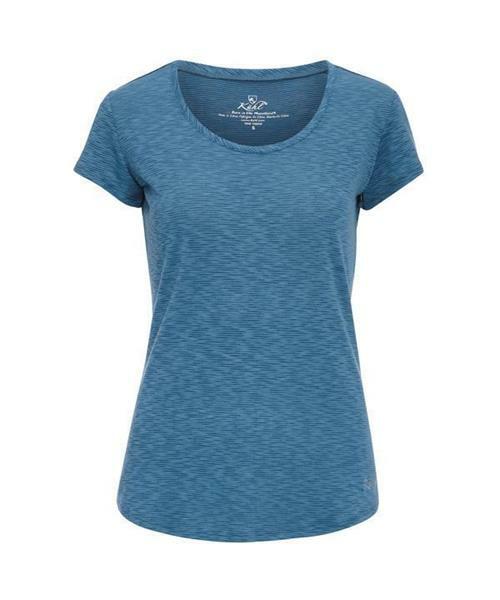 The scooped neck and curved bottom hem add flattering, feminine detail to this must-have tee.